Digital citizenship and appropriate use of technology are taught and reinforced throughout the year in the Library Media Center and classrooms. CyberCompass: Resources for students, parents and educators to become safe and responsible digital citizens. Elementary Internet Lessons: Find out how internet safety is addressed in our school's health curriculum. Family Tip Sheets: Resources from Common Sense Media to share with students in Grades K-5, 6-8 and 9-12. Ribble, Mike. 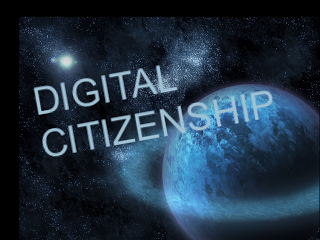 Raising a Digital Child: A Digital Citizenship Handbook for Parents. Eugene, Or: 2009. Print.